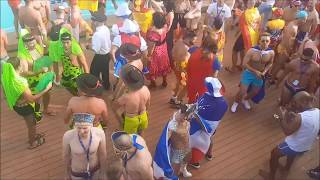 The Cruise powered by Demence has become a very popular gay cruise. La Demence in Brussels is one of the most popular gay parties in Europe. The Cruise is very party oriented. 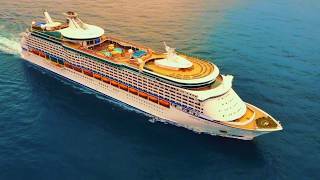 This 10th anniversary cruise will be held on the Explorer of the Seas. This is a Royal Caribbean ship with a capacity of 3286 guys. This year's cruise departs from Rome to the Adriatic Sea. The Cruise by Demence are known as real party cruises. But guys come out of your cabins during these port visits, as they are really spectacular! The Cruise departs from Rome and also ends in Rome. Well "Rome", as the city is not even close to the sea. The cruise terminals are in Civitavecchia, which is about 70km from the city. You can take the train to the cruise terminal, rent a car or book cruise line transfer. We highly recommend to take a hotel before the cruise. Flying in directly always has the risk of missing. 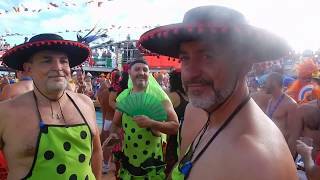 And what to do on a gay cruise without costumes? It still is high season in Rome, so make sure to make hotel reservations early. Check out our hotel page for recommendations. Visiting Rome for The Cruise?